Notes: The 307-foot-tall UT Tower was lit for the first time in October of 1937. Carl J. Eckhardt Jr., a UT alumn with two engineering degrees, was appointed head of the Physical Plant in 1931. He devised the tower lighting system to take advantage of its commanding architecture to announce university achievements. In 1947, Eckhardt helped create guidelines for using the orange lights. A number "1" on all sides highlighted by orange lights signals that the university won a national championship. 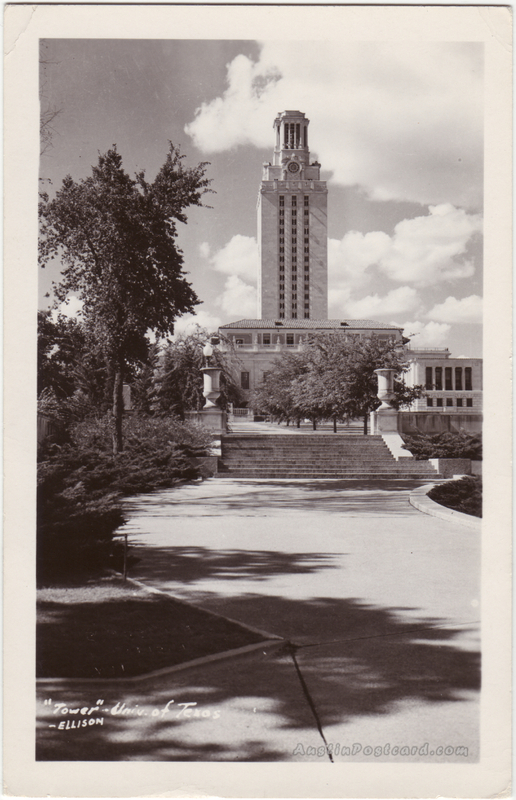 The full Tower glowing orange alone represents a victory over Texas A&M, Commencement and for other occasions at the University President's discretion. The Tower top bathed in orange symbolizes other victories or a conference title in any intercollegiate sport. The University approved a new policy for lighting the UT Tower in January of 2002.